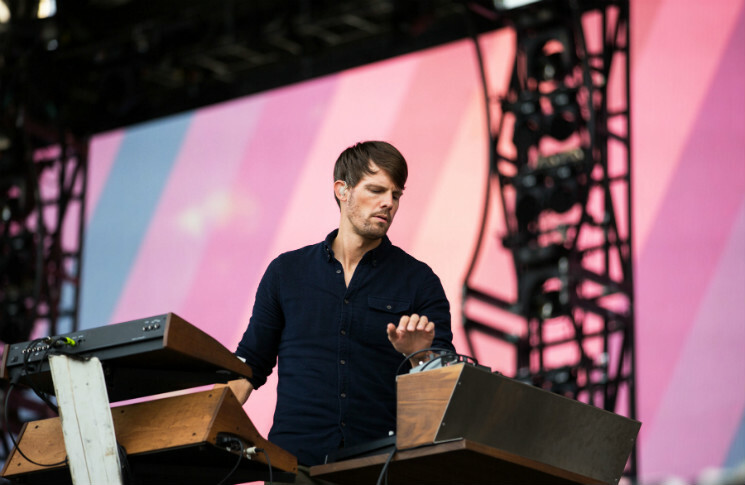 After an opening performance from DJ duo Mija & Anna Lunoe that found concertgoers lighting off fireworks above the crowd and the swampy but sedative atmospherics of Florida outfit Hundred Waters, the cool and calculated sounds of ambient producer Tycho (aka Scott Hansen) and his well-rehearsed band seemed like an odd choice for the Full Flex Express. Barely anyone in attendance seemed to register that the band were even starting up when Hansen manned his keyboard station and delivered one of the more bombastic, beat-heavy performances of their entire set. Things didn't get much better from there, as the band's twinkling guitar lines, splashy drum work and vaguely post-rock compositions seemed to lull a crowd that seemed more concerned with watching fellow concertgoers try to stand on top of each other's shoulders and find their friends rather than bask in the band's warm and refined soundscapes. It was a good performance in front of the wrong crowd.